And this is the difference between copying and repeating. When you copy, you say the right things, dress the right way. But your mode of operating doesn’t change. You may dress as Mia Wallace but you still make sense of the world like Britta. But when you repeat, you take on the way of another and, in so doing, become something different. You don’t just say the right things. You actually make sense of the world differently. 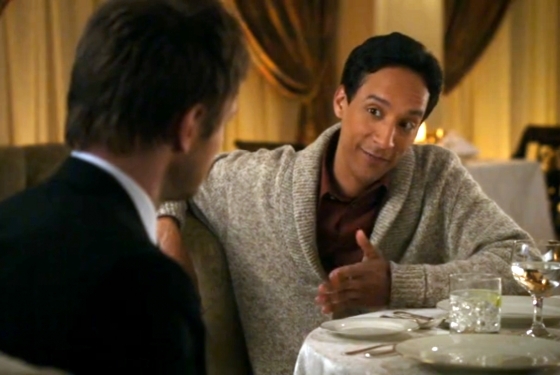 Look at Abed: everything about him is different. He’s not just quoting someone else’s lines, as if the real Abed existed below or within. He’s not pretending to be Andre. But nor has he become Andre per se (whatever that would mean). He’s repeating Andre via his own metabolism, creating something new, what Deleuze might call a nuptial: Andre-Abed. 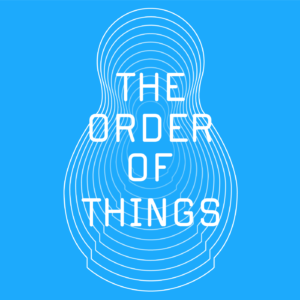 We tend to think about repetition as doing the same thing over and over. But, for Deleuze (and for Kierkegaard), repetition is forward movement, a process of surging ahead differently. If you were the same, there’d be no movement. This changes the very way we think about identity. Rather than being this fixed thing, we are creatures who repeat ourselves (hopefully) — not by doing the same thing over and over but by picking ourselves up and dancing ourselves forward. We are ever anew in the becoming we are. With repetition, identity is nomadic: always somewhere different, always home. Read the full article on Deleuze and Repetition.